PGH Bricks is demonstrating its commitment to environmentally sustainable manufacturing by utilising clay waste from Melbourne's Parkville tunnel project. The raw material will be converted into new bricks, made predominantly for residential construction, at the business' Thomastown facility located in Victoria. "We are very committed to recycling this type of material as much as possible. 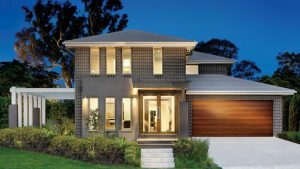 Not only is it better for the environment – reusing waste rather than sending it to landfill – there's also the social benefit of its use to build homes for new residents in the suburbs of Melbourne," says Andrew Peachey, regional general manager Vic for PGH Bricks and Pavers. "Normally we would extract this clay from our own quarry, so recycling waste from construction sites also serves to provide longevity at our facility and continuity of work for everyone employed there," adds Peachey. To make way for the new underground Parkville Station (one of five stations being built as part of the $11 billion Metro Tunnel Project) an equivalent of 80 Olympic-sized swimming pools worth of land will be excavated, translating to a monumental number of bricks. "There are three stages planned for this project. The first stage will equate to 300,000 tonnes of clay, which can produce up to 10 million bricks," says Peachey. "Then there are another two potential stages that consist of an additional 900,000 tonnes combined. That's another 30 million bricks." Work on the new site began on Monday 14 January 2019 below Grattan Street, between Leicester Street and Royal Parade. Despite the excavation inevitably causing some disruption, the Victorian Government is working closely with neighbouring hospitals and universities to minimise this.